Last Friday I was given a great opportunity to take part in the Garmin Sharp Ride Out. 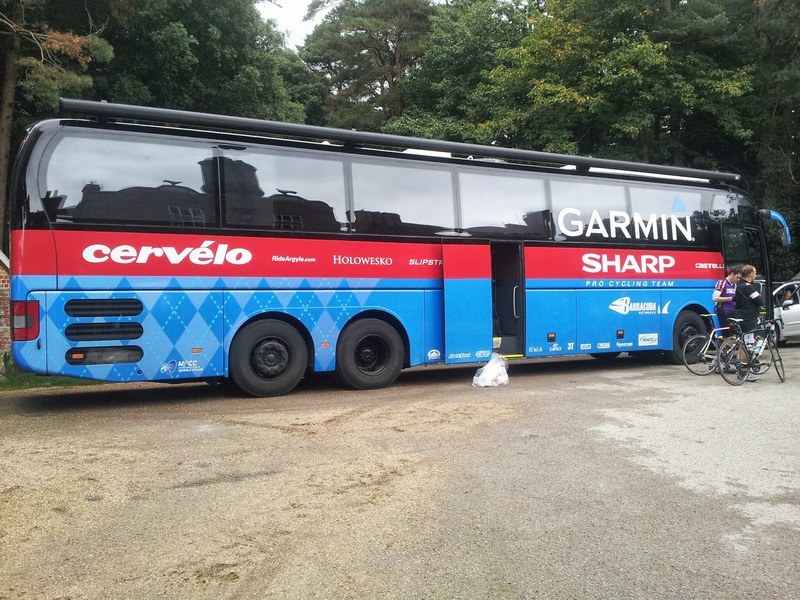 It's an annual event that Garmin host with riders from some of the pro teams in attendance. The event is invite only and I was lucky enough to be given one of the 500 places. 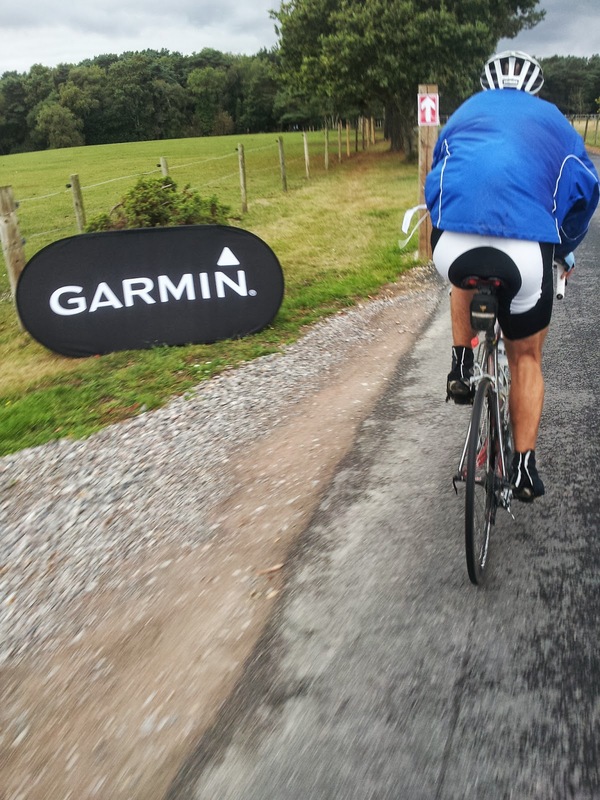 The ride is pretty much a standard sportive but with the pros taking part it's a little bit special. 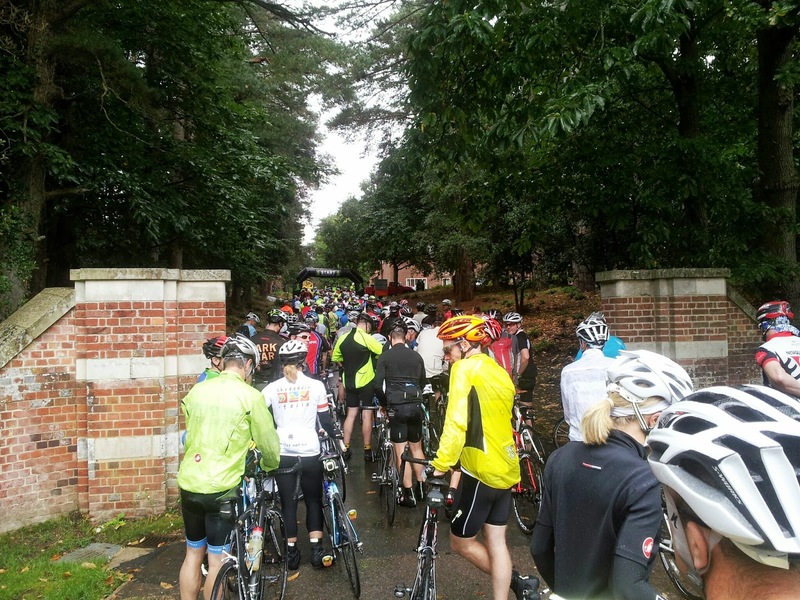 The grand depart was to be held at the Avon Tyrrell Activity Centre in the New Forest. The weather forecast wasn't great for the day but nonetheless, I took Rose with me. Upon arrival I headed for the registration tent and got my number and goody bag. I then queued up for a coffee. With coffee in hand, I wandered around the stands from the likes of Madison, Wiggle, Muc-off, Lazer etc. I also had a look at the Mavic pro mechanic working on riders bikes. With plenty of time to spare there were Q and A sessions with the pro riders from Garmin Sharp, Rapha Condor JLT and Madison Genesis. About 30 minutes before the ride, I headed to my car to get Rose and get my stuff ready. As walked back to the arena, it started to rain, I took cover, as many did, under one of the tents and the rain turned torrential. This lasted for about 15 minutes. After the rain stopped it was about time for the safety briefing so I headed to the main marquee. Once inside, it started raining again. After the briefing we headed out with our bikes to the start line. Still raining at this point but very light, we queued waiting to be despatched. 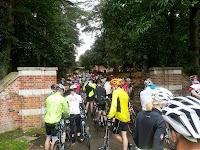 The ride was a 50 mile route through the New Forest National Park. The ride wasn't hilly and any inclines were short. There was one hill with a 25% gradient and a conveniently placed feed stop at the summit. The rain didn't last long and the day was quite warm in the end, however there was a wind at times. I managed to grab the wheel of another rider, Al, early on and we took turns on the front. Once we were acquainted though, we rode two abreast where possible so we could chat. Having never ridden the New Forest before it was a beautiful place and road surfaces were quite good. However, there did seem to be a lot of people getting punctures. There were also many wild animals on the road, including horses, cows, donkeys and pigs. Of course, there were also lots of cattle grids. 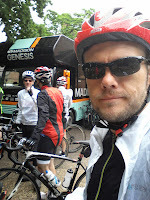 The ride was quick on the smooth rolling roads of the New Forest and 3 hours later I was back at the start. I wore my new Dare 2B AEP bib shorts and they are definitely the most comfortable shorts I've ever worn. Waiting for all riders was a hot meal and a chance to sit and chat with the pros if you wanted. I eat my food and headed back to the car with my fair weather bike in the dirtiest state she'd ever been! Thanks Garmin. See you again next year?